Have you ever been in a hurricane? Well I have. Did you know that some hurricanes can knock down or destroy houses and trees? A hurricane is a very strong storm that begins in the ocean. 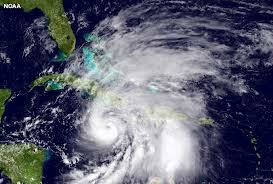 Also, if you look at a hurricane above from the sky, the hurricane looks like a doughnut. Did you also know that hurricanes are named after people and they go in ABC order? Hurricane Sandy was the 19th hurricane in 2012! So, I turned on my flashlight and I turned on my TV to make sure that I had power. I did! When I saw the news, I was scared of how wide the hurricane was so I turned off the TV. Hurricane Sandy was 1,00 miles wide! When the hurricane ended, I fell asleep. Astrid, Hurricane Sandy sure was a scary storm! I watched all the damage it caused. I sure am glad it did not do more damage. You are a good writer and I could really tell by reading your story that Sandy had scared you. It sure scared me too! Were you safe in the Hurricane? ?